Healthcare Opinion on Healthcare Staffing Agencies, Are they worth it? Healthcare staffing agencies are in the unique position of offering advantages to employees as well as to the businesses that need professional assistance. Agencies offer expertise in the delivery of healthcare as well as support systems that make it more efficient. Healthcare informatics is an emerging field that uses technology to improve work flow by collecting, organizing and making patient information accessible. Knowledge of healthcare technology provides opportunities for skilled workers to assist staffing agencies in meeting the challenging demands of an increasingly important field. The massive amount of paperwork that creates backlogs in medical facilities is time consuming, and manual processing is costly and inefficient. Computer software and electronic input devices in hospitals, doctors’ offices and rehabilitation facilities provide opportunities in healthcare informatics that combine an understanding of health care issues with technology. 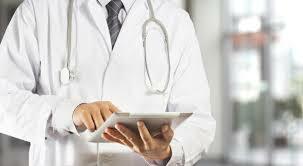 Converting paper files of patient information into electronic format is a major task that staffs in medical facilities are often unprepared to do. Staffing agencies can supply skilled specialists to set up databases on a short term basis, making the service affordable by clients and profitable for workers. After a patient database is built by transferring information into electronic form, it is easier for medical office staff members to maintain on a continuing basis. With the everyday demands of seeing patients, most do not have time to undertake a major data transfer project. Adapting to a system that relies on technology gives medical personnel access to sophisticated resources that are practical, efficient and knowledge expanding. Access to drug databases keeps prescribers aware of benefits and side effects of the newest medications, saving time and increasing accuracy. Offices that incorporate healthcare infomatics into a practice can use high tech equipment for taking notes during visits with patients, and the information is immediately available for use. As an employee, the advantages of working for a staffing agency are numerous. Jobs are available for qualified workers who may choose to experience different work environments prior to selecting one as a permanent career. Employers are able to get a qualified worker by placing a call to an agency, and they are spared the time consuming task of interviewing potential employees. Costs that are associated with advertising a position are avoided when an agency places a worker, and qualifications are reviewed and verified prior to placement in any medical office. Full time agency workers are typically eligible for employee benefits that may include insurance programs, paid vacations, holiday pay, direct deposit and bonuses for referring new employees. Pay rates vary by location and field of specialization, but a rate of $55 per hour for infomatics professionals, allied health workers and nurses makes working for an agency a lucrative opportunity. Large cities typically have medical facilities that create a demand for short term skilled workers, and providing a supply is the goal of staffing agencies. Helping medical offices transition to health information systems that affect clinical research, appointment schedules and the exchange of patient information is a valued service that can provide financial opportunities for qualified professionals. Agencies provide contract and per diem opportunities as well as options to convert from temporary to permanent jobs, depending on the preferences of each employee. Traditional specialties include administrative jobs, clinical research, nursing, allied health positions and jobs in government healthcare. Working with computer technology and infomatics is a challenging and rewarding field that appeals to some employees but not to all. Staffing agencies offer the best combination of service and reward for employers and employees alike, and it is worth considering for its many advantages. Choosing to work for a staffing agency is an option that has many advantages and few disadvantages for a healthcare professional. While it may not offer long term service in one location, the variety of assignments provides interesting work in different office environments with job security and benefits.